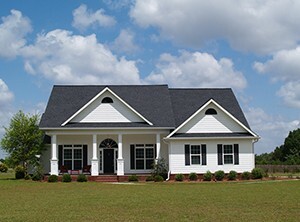 Do you need new house siding for your residence in Pace, Florida, or a nearby city? If so, turn to Majors Home Improvement for quality products and expert installations. We are a local, family-owned company serving area homeowners, and we install durable vinyl siding that stands the test of time. There are many benefits to having new siding installed on your home. For example, it can enhance the curb appeal and increase the overall value of your residence. It can also provide enhanced protection from rain, wind, and harmful moisture that is common to homes in the gusty Gulf Coast region. Plus, siding from Majors Home Improvement will be impact resistant, ensuring the cladding remains in like-new condition for many years. You’ll be able to choose from a wide variety of popular colors and wood grain textures, so you can easily find a look that beautifully complements your home’s exterior. You’ll experience better energy efficiency, as your siding will wrap your home in an insulating layer to lessen heat transfer and help your home remain comfortable throughout the seasons. You’ll enjoy house siding that is easy to maintain and will remain in like-new condition for decades, as it will virtually never split, peel, rot, or need to be stained or painted. If you’d like more information on our house siding for your home in the Pace, FL, area, contact Majors Home Improvement today. We’ll be pleased to answer your questions.